Many might assume that CIS is one of those neverending American cop shows – the kind seemingly shown in an eternal loop on one of the SBS channels – but to most Copenhagen expats, CIS stands for something else entirely. 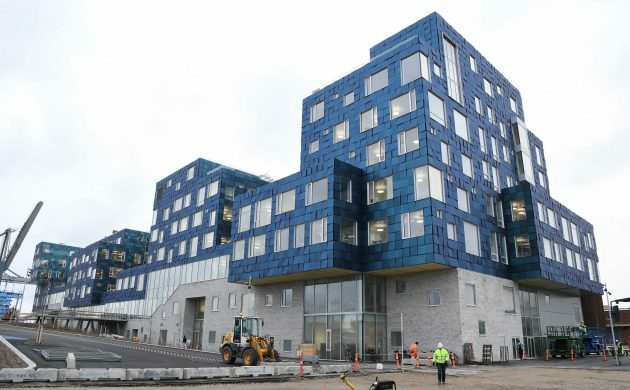 Copenhagen International School, which this coming Monday is moving to new premises in Nordhavn, is one of Copenhagen’s largest international communities with a student body of more than 930 hailing from over 80 counties. “The people who started this school realised at the beginning that our audience is international,” the school’s former maths teacher and senior school principal, James Keson, who retired in 2005 after 36 years of service, told a special assembly at the start of the academic year back in August 2011. In 1968, CIS was one of the 12 founding schools of the International Baccalaureate. Better known as the IB, the Baccalaureate is a school program that covers all levels of schooling from kindergarten to pre-university, which is renowned for its academic rigour and international-mindedness. Today, the IB is taught in over 3,500 schools in 144 countries to over a million students each year. Yet CIS has roots that extend beyond the program. It all started in 1963, when international schools were few and far between. In Copenhagen there was a small group of American children who were being taught through a ‘correspondence program’ with the University of Nebraska in the basement of the American Embassy. Hardly satisfied with this as a ‘school’, a group of parents led by Mrs Frank B Gallahager enlisted the help of seasoned international school guru Ulf Østergaard, who had previously served as the head of the United Nations School in New York, as well as spending time in the Philippines with UNESCO establishing their educational system. At the time, Østergaard was the director of the Danish Søborg Gymnasium, which came to play a vital role in the future of CIS. Together they brought in Godrey Sullivan, a history teacher and old colleague of Østergaard’s, to lead the new school. The only problem was that there was no physical school. So on the first day that CIS opened its doors (metaphorically speaking, of course), it was to the shared classrooms of the Søborg gymnasium. It only had one classroom at its disposal, which was used to house its administration. With approximately 24 students on the first day of school and window sills doubling as desks, CIS was born. Since then, CIS has existed at a multitude of different locations. From Søborg Gymnasium to Gammel Kongevej to Stensogade in Vesterbro and even a brief stint at a youth club in a somewhat rough part of Nørrebro, CIS finally found a permanent home on Hellerupvej in 1993. There it thrived to the point of over-capacity, and in 2011, it opened its second campus in Østerbro. Now known as the City Campus, it was home to the senior school until this year. Though the location of the school may have changed a lot over the past half a century, the spirit of CIS has not. Those who have taken part in creating the school and making it into the place it is today are still commemorated and celebrated with each graduation class. Each year a graduating senior student is awarded the Godfrey D Sullivan History Scholarship for their service of international character to the school, while the Red-Headed League Award honours the student with the most compassion, conviction and fortitude in memory of IB co-ordinator Britta Pierce. Also present at the same assembly in 2011 was Inez Venning, the first ever principal of the Copenhagen International Junior School, who addressed the current students with a reminder of those who have gone before them. “CIS has clearly meant a great deal to these people who are now out in the adult world,” she said. At the time of writing the bulk of this piece back in 2012, the author, Linn Lemhag, a 27-year-old CIS alumna, shared an apartment with her assigned roommate from an 8th grade music trip to London. Nothing downhill about this CIS skier! Out and About: We are the goon squad and we're coming to town!